Boston, MA – November 6, 2017 – FLUXUS LLC executives Harry Stendhal and Fanyu Lin participate in XPRIZE Foundation‘s workshop for “The Future of Housing” at Boston Exchange Conference Center, where the foundation convenes a group of industry leaders to incorporate critical input, advice, and insights into the prize design aiming to mobilize transformative change around the world. XPRIZE and Lowe’s have partnered to achieve a massive, transformational purpose of creating safe, healthy and affordable housing for all by 2033. There are five grand challenges for housing being assessed during the workshop, with various aspects of the issue being considered, including affordability, sustainability, scalability and innovations related to technology, policy, and finance, among others. Population: Locations around the globe where population growth is increasing most rapidly are not keeping up with housing demand, and face additional negative externalities associated with rapid urbanization. Money: There is a growing imbalance between the most logical policies to make housing more affordable, and policies designed to support a system that seeks to increase the price of housing by either limiting supply or leveraged financing. 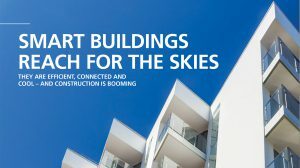 Innovation: Emerging technologies with the potential to improve the function and experience of a home – raging from smart and efficient energy technologies and the internet of things (IoT) to artificial intelligence (AI) and digital environments – are slow to be integrated into existing and new housing at scale. 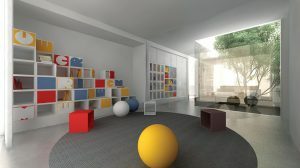 Flexibility: Housing cannot be easily modified or adapted to changing demographics, lifestyles, and other needs. We adapt to the housing stock, the housing stock doesn’t adapt to us. Resiliency: Although there is a growing recognition of the need for greater resilience in the fact of climate change, the business case for many resiliency projects remains uncertain or weak, resulting in continued underinvestment compared to the scale of the challenge. The roadmap will assess the current landscape for housing through multiple lenses and identify catalysts and drivers (including potential XPRIZEs) to achieve a desired future state. The final product will be a dynamic and interactive narrative that describes a vision for the future of housing and what actions stakeholders must take to get there. The roadmap will build upon existing analysis and research — and go beyond these by identifying white spaces and intersections where exponential technologies and other breakthroughs have the potential to revolutionize the future. Founded in 1946, Lowe’s has grown from a small hardware store to a Fortune 500 home improvement company serving approximately 17 million customers a week in the United States, Canada and Mexico. As a purpose-driven organization, Lowe’s is committed to helping people love where they live. 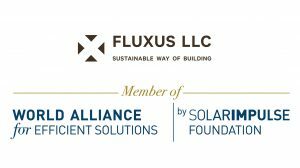 Fluxus LLC was founded in 2013 to develop the Fluxus System, a prefabricated building technology platform that provides an efficient way to build both affordable quality homes and create sustainable communities across the economic spectrum.